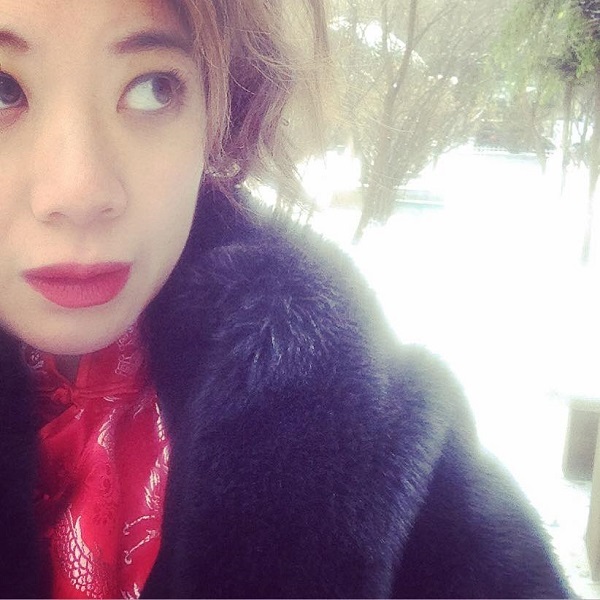 Melbourne-based indie singer-songwriter Sophie Koh has been drafted to front the hotshot jazz band performing in Shànghǎi MiMi, a sumptuous cabaret that celebrates the flamboyant nightclub cabaret and Chinese jazz culture of 1930s Shanghai, premiering at Sydney Festival in January 2019. She’ll also play the eponymous character, 'Mimi'; a role which comes with its own challenges, such as relearning Mandarin to sing the songs, performing in a cabaret for the first time, and photo shoots in the Tibetan snow. 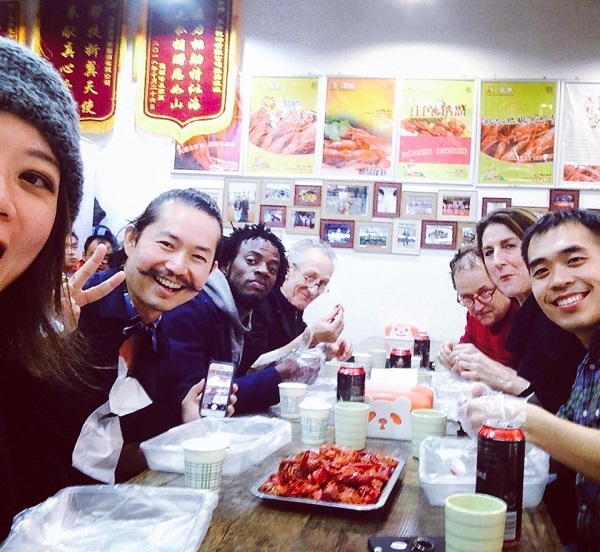 Koh has just returned from rehearsal sessions deep in West China with the dancers and acrobats, so we asked her to share some photos from the trip and a few stories about what it’s like creating a theatre show that brings together diverse artists from multiple cultures. 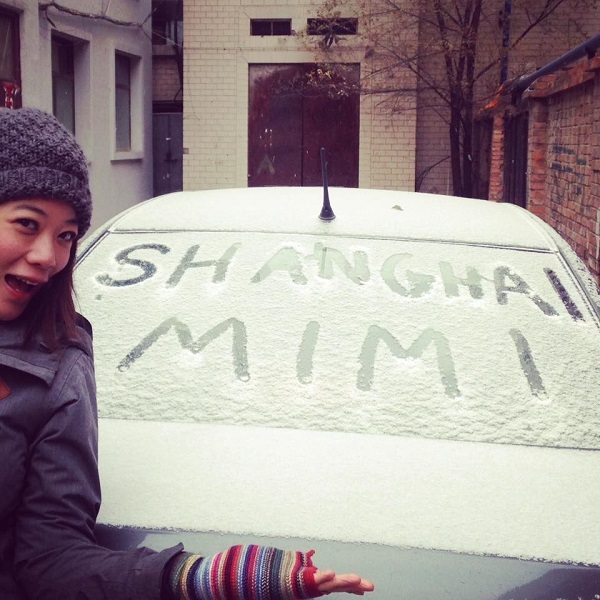 You've just come back from rehearsals in China for Shànghǎi MiMi – how did you get involved with the project? Like many projects, it started with an email landing in my inbox. Douglas Hunter (Shànghǎi MiMi’s creator and producer) had heard of me (via my appearances on RocKwiz I think) and after a coffee meeting with him, I was invited to meet John McAll (the musical director) for a casual singing session. At that point, I had no idea that the show would go ahead, let alone be part of Sydney Festival. Once director Moira Finucane joined the team, it was all systems go! How did the rehearsals go – what was the experience like? Preliminary rehearsals took place in Xining, Qinghai Province, West China. If you Google Maps it, you'll see it's near Tibet and Mongolia. 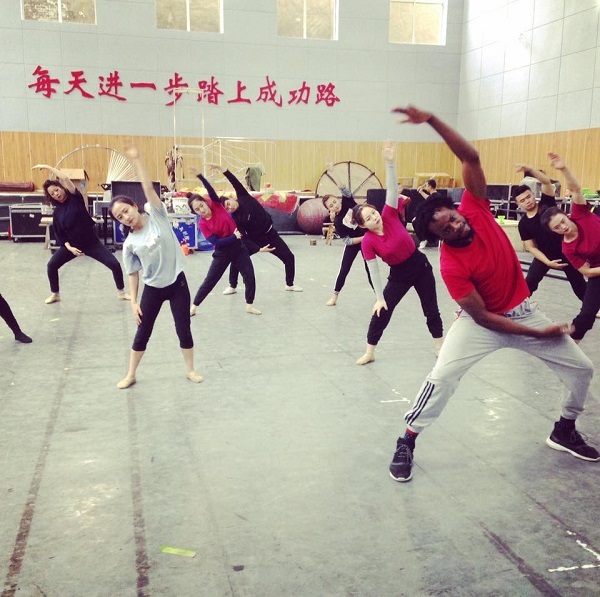 We worked with the amazingly talented young women and men from the Qinghai Acrobatic Troupe as well as Simon Abbe, an amazing choreographer from Cameroon, now based in Beijing. This rehearsal week felt like cultural exchange at its best. China, Australia and Africa in one room, dancing, singing and exchanging ideas. Only good things can happen from that kind of energy. The acrobats learnt to dance for the first time, and I sang Chinese jazz for the first time. What was the most surreal part of the whole trip? As I have gotten older, I've become more fascinated with West China – its geography, and its place as a melting pot of culture and religion. I never thought I'd be standing in snow on the Tibetan plateau, wearing a Chinese qípáo and fur coat for a photo shoot. Were you familiar with this genre of Shidaiqu music before starting the project? I knew very little of this fusion of American jazz and Chinese folk music. I knew Shanghai was formerly the 'Paris of the East', but I didn't fully grasp the richness of the jazz scene in the 1930s metropolis. As Doug and John handed me the song list, many melodies were familiar to me as they were the songs my parents used to sing when they were younger. This project has hit me at a time when I've become increasingly fascinated with Chinese folk music myself. My most recent album Book of Songs (2017) was a contemporary pop album influenced by ancient Chinese folk art and poetry, presented as a Western classical trio. It features my cover of a 1950s Chinese folk song called Gan Lan Shu. In my songwriting before this album, I was quite shy about acknowledging my ethnicity. We understand this is one of the first times you'll be singing entirely in Mandarin? Yes, funny that. I remember moving from Singapore to New Zealand when I was 10. And a few months into primary school, after returning from school camp immersed in a full week of English conversation, I returned home and refused to speak to my parents in Mandarin. Parental attempts to get me to 'Chinese School' on Sundays were hopeless. Singing so many songs in Mandarin now comes with some challenges (I should have listened to my parents!). I understand most words but can't read, and some of the lyrics are quite 'traditional', meaning they were written in the 1930s/40s, hence I've had to do some homework with my mother to figure out the exact meanings! It has truly come full circle. The show will feature songs mostly in Mandarin, but there will be some English songs too. 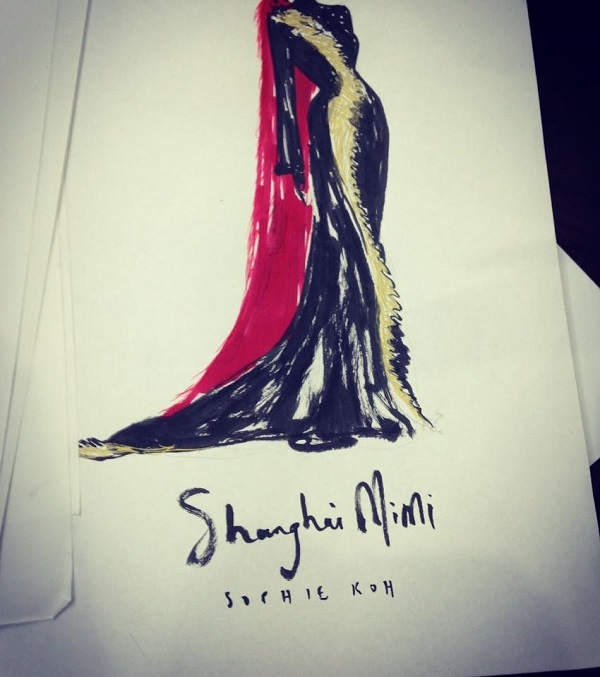 You'll be personifying the character "Shanghai Mimi" – what can you tell us about the character? Who is she? We hear she has fabulous costuming? That is also a first, being measured up for so many couture costumes! Eugyeene Teh (costume and set designer) has drawn up some delicious looking bespoke outfits. So much fur, so many qípáos. I can't believe I'll get to see them come to life and actually wear them. I'll also happily need to pierce my ears (yes, I don't have my ears pierced but this is a good incentive) for some fabulous earrings. Moira Finucane has been great in helping me with initial characterisation. I think someone like 1930s Chinese silent film star Ruan Ling Lu has been a great reference point for me. She was an enigma, a Greta Garbo of Chinese cinema – modern, independent but complex and vulnerable. What excites you the most about premiering this show in Australia? That there has never been anything like this show in Australia! And that it's going to be a 'first' for all the individuals that have been cleverly thrown together by Douglas Hunter for this incredible team. The Chinese acrobats are learning to dance for the first time. I'm singing jazz and dabbling in theatre/cabaret for the first time. John McAll is arranging Mandarin songs for the first time, etc. Only good things can come from committed and talented individuals delving head first into the creative unknown.